2011 was a difficult year both for my family and for this blog. If you are/were a regular reader, you noticed I wasn’t around much. I hope to change that this year. Because I didn’t write many posts last year, I wasn’t surprised that most of the top posts last year were older posts. I am surprised that the Brined Pork Roast recipe was number one. Especially because in my opinion, this recipe is much tastier. I get lots of searches for green cleaning recipes. Pinterest has been especially helpful in promoting them. I’m glad people are being greener and I’ll try to post some more green cleaning recipes this year. I am excited to see the rabbit hutch plans make the list. I wonder if that is because more people are interested in rabbits for meat, or if pet owners just need plans? Regardless, I hope to post more rabbit updates soon. 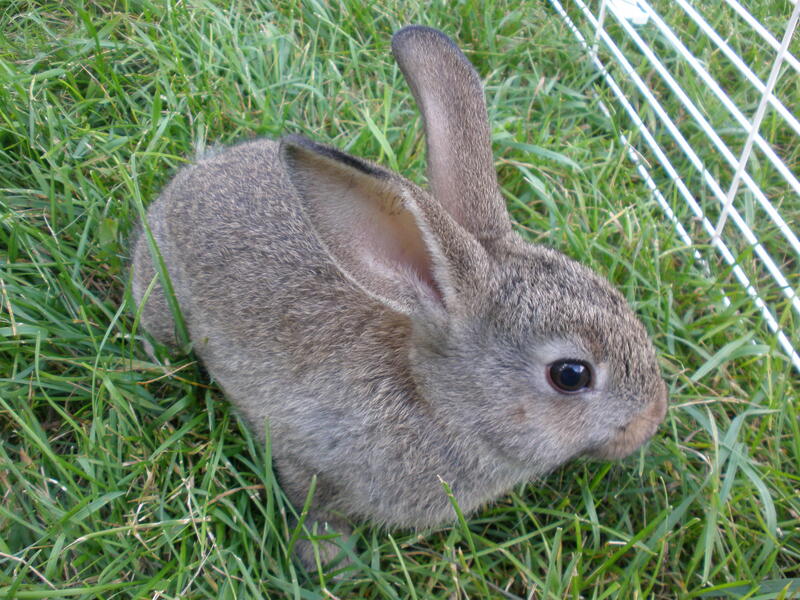 Until then, if you’re looking for rabbit information, check out On Breeding Like Rabbits. 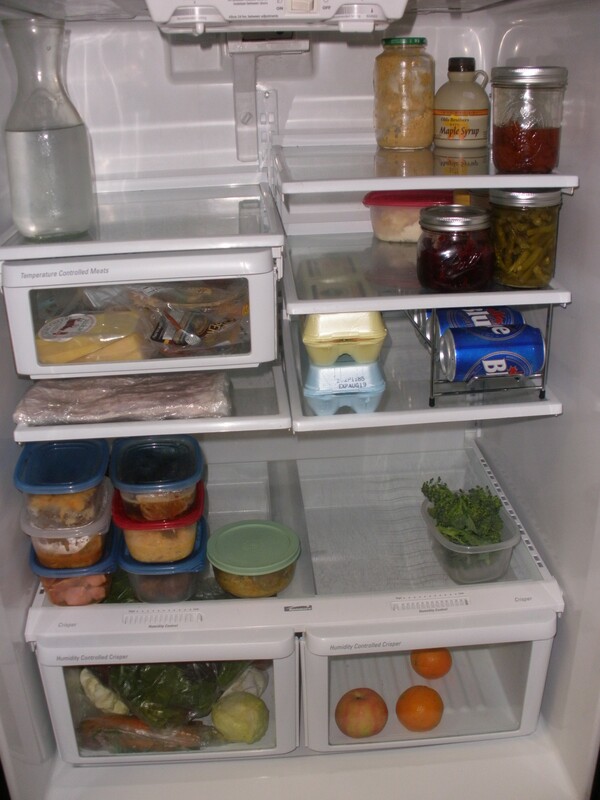 #52 ~ Empty the Fridge, Clean it out and Put all the Food Back in. I’ve been working on this project since Tuesday. I had a plan. I started by having a “leftovers for dinner” night to help clear some of the riff-raff out. Then I made a batch of chicken stock which used up the two picked-over chicken carcasses and a bunch of the not-so-pretty vegetables, clearing even more space. After that I made a batch of ham stock which reduced the contents of the produce drawer further and eliminated the ham bone leftover from Christmas dinner at the in-laws’ house. 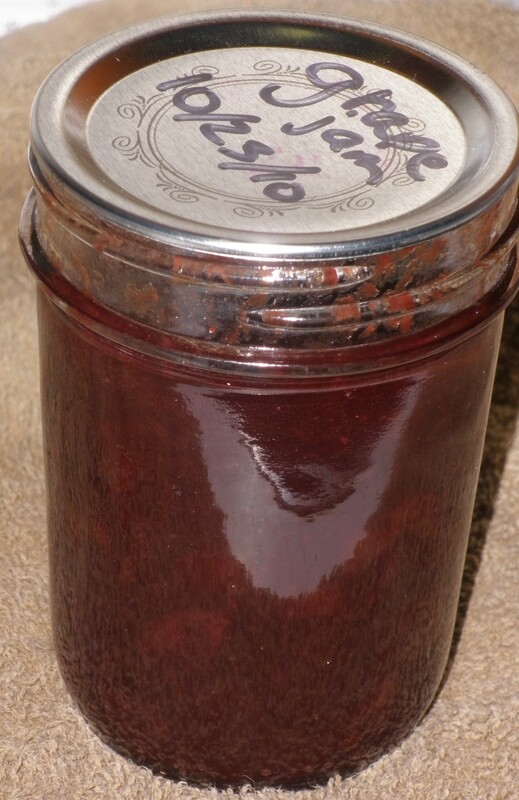 Finally, I fed some wilted produce to the chickens, composted a couple moldy things, threw out the package of spoiled cream cheese and got to work. I started by cleaning all the right-hand shelves. I moved everything from the top shelf, took it out, scrubbed it down with my Sink Scrub, returned it to the refrigerator and replaced all the food that belonged there in a neat and orderly fashion. I continued working shelf-by-shelf until I got to the bottom shelf and the produce drawers. 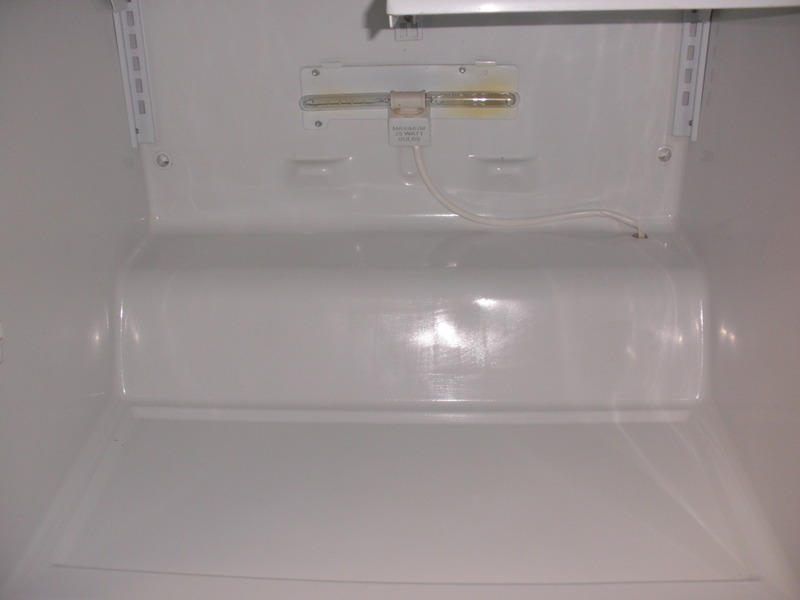 The bottom of the refrigerator stripped of its parts. This area required drastic action. I removed both drawers, the glass panel and the frame that holds the drawers, scrubbed it all, wiped down the sides and bottom of the fridge and put all the parts back in before finishing the rest of the fridge. I probably should’ve added “replace the bulbs in the refrigerator” to the list, but they have been burnt out so long I don’t even remember what it’s like to have lights in the refrigerator. Green cleaning is something that many companies are trying to market. A lot of it is just “greenwashing”. 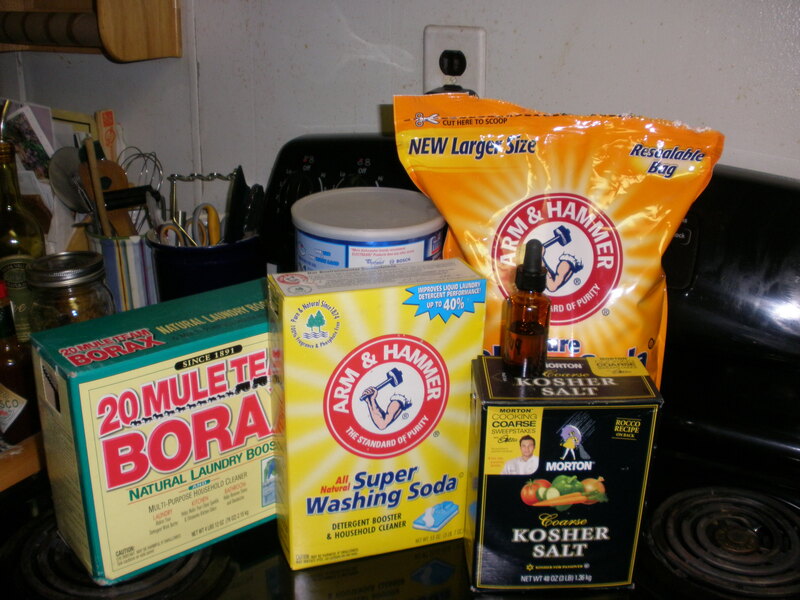 Making your own earth-friendly cleaners is cheaper, better for the environment than many of the “green” cleaners for sale, and doesn’t take very long. 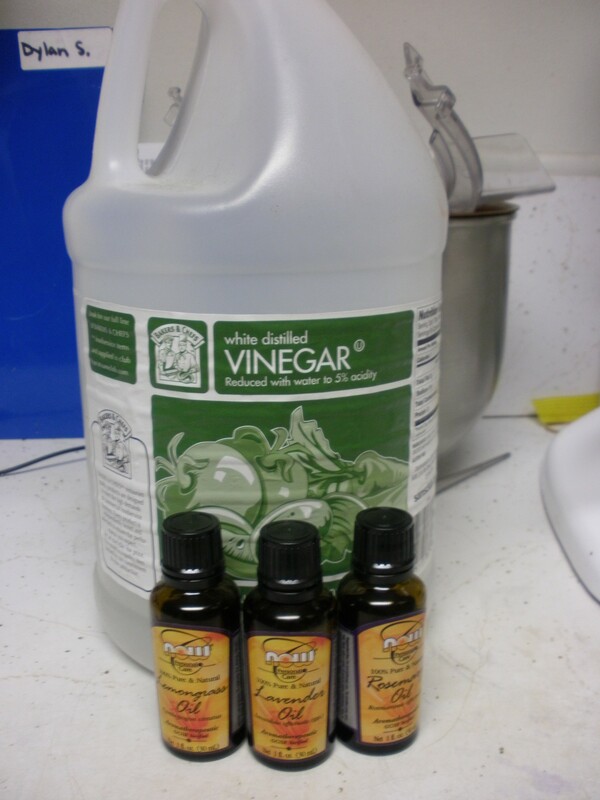 This recipe is more of a non-recipe than a real recipe but I’ve decided to share my super simple Sink Scrub recipe. While I call it “Sink Scrub”, it can be used to safely scrub most surfaces: countertops, toilets, bathtubs, the top of your stove or inside of your refrigerator. Pretty much anywhere you would use “Comet” or other commercial scouring powders is a good place to use this scrub. 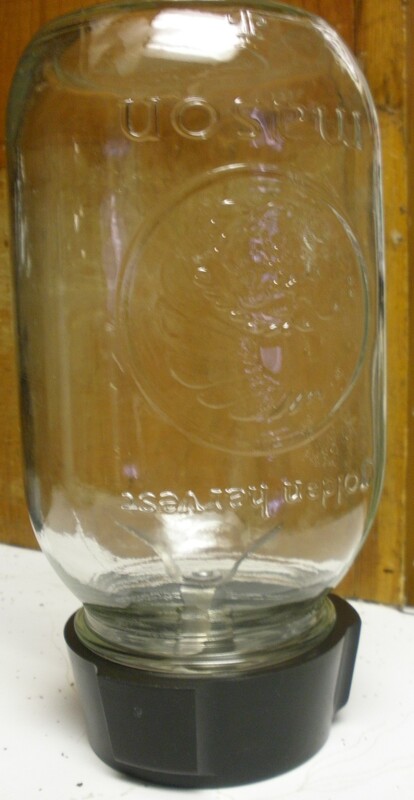 Find a container with a shaker top. An old giant-sized spice container works well. An empty parmesan cheese container would also work. 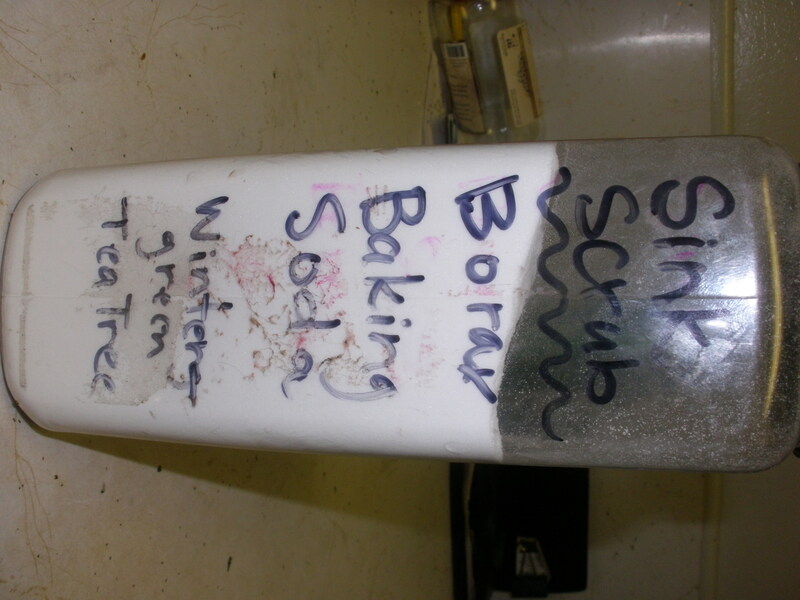 Dump or scoop equal parts baking soda and Borax into your shaker. (I used to measure but now I just do it by eye). Add essential oil (optional) Teatree oil has antiseptic properties and makes a nice addition. Lately I have been adding wintergreen. It has a nice fresh, clean scent but doesn’t come off too “minty”. A blend works too. In my spice container shaker I add about 20 drops of oil. That’s it. Easy-peasy. You may want to make one for the kitchen and one for the bath. 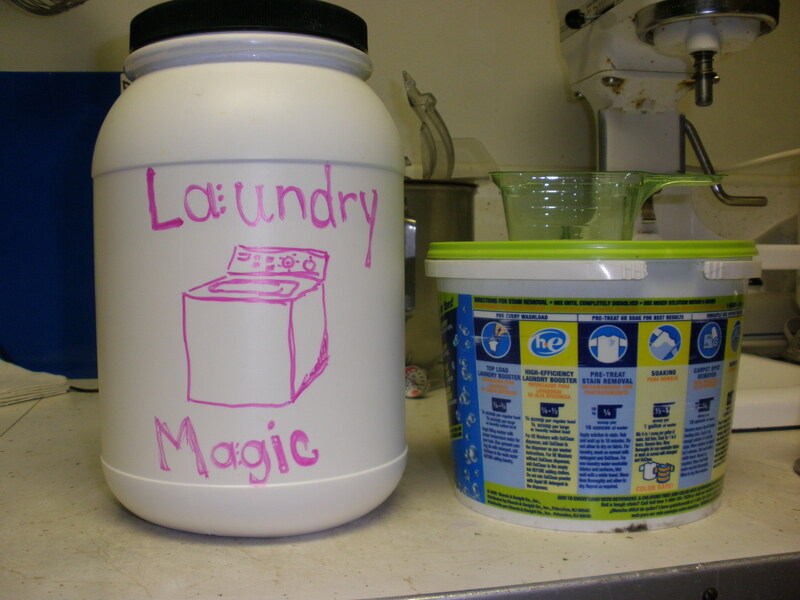 If you like this, you may want to check out my recipe for homemade laundry detergent as well. Ecomower is a relatively new term. 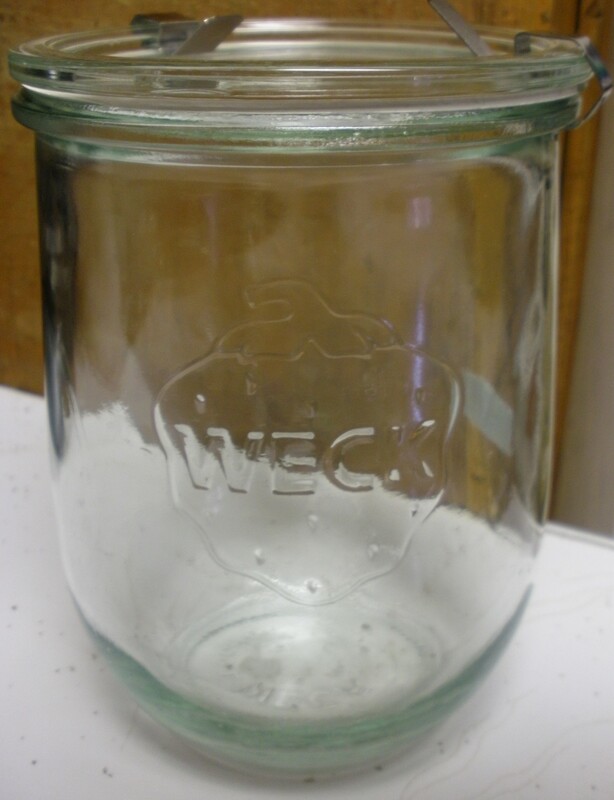 Apparently, I’ve been ecomowing for years without knowing it. 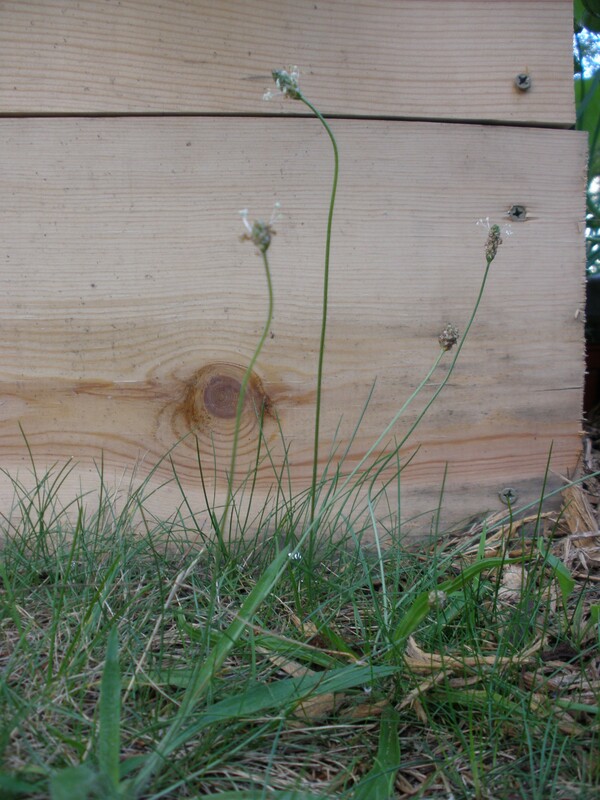 Ok, so it doesn’t do a great job with long weeds like those seedy pods on the plantain or dandelion flowers, but as long as I keep up on the lawn, it does a good job. Besides, the chickens and bunnies help keep the taller weeds in check; they love plantains and dandelions. 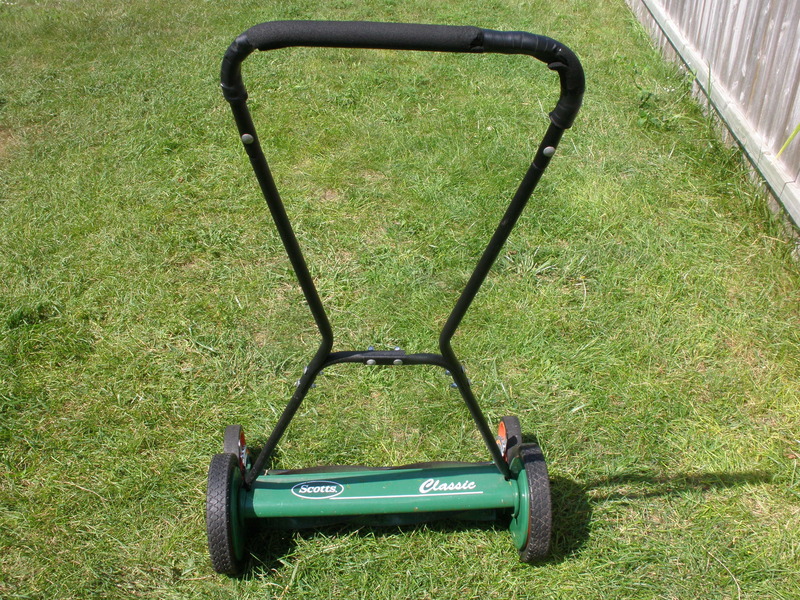 I can’t say that I’d use my push mower if I had a VERY large lawn, but if I had a bigger yard, I’d probably have more gardens. Or more fruit trees. Or, a goat. So, I guess even if I had a VERY large lawn, I would probably still use my ecomower. This post is a part of Simple Lives Thursday. Hop on over to see what everyone else is up to this week and find some great ways to simplify your life! Last week I introduced you to our new doe rabbit, Fiona, and told you about my hare-brained scheme (Yeah, I really just said that.) to start raising meat rabbits. I can’t raise cattle in town. At present, I can’t even have a goat, but I can have rabbits because they can be raised in small, urban spaces and are considered pets by most people. So, even though I don’t have space for sheep or cattle, I can cleanly, humanely and efficiently produce my own meat. Rabbit meat production doesn’t require much space or equipment and the start-up costs are minimal. I’ve done my research. I know there are breeds of rabbits more suited to meat production based on their size, body shapes and growth patterns. Fiona, our doe, is a Palomino rabbit. 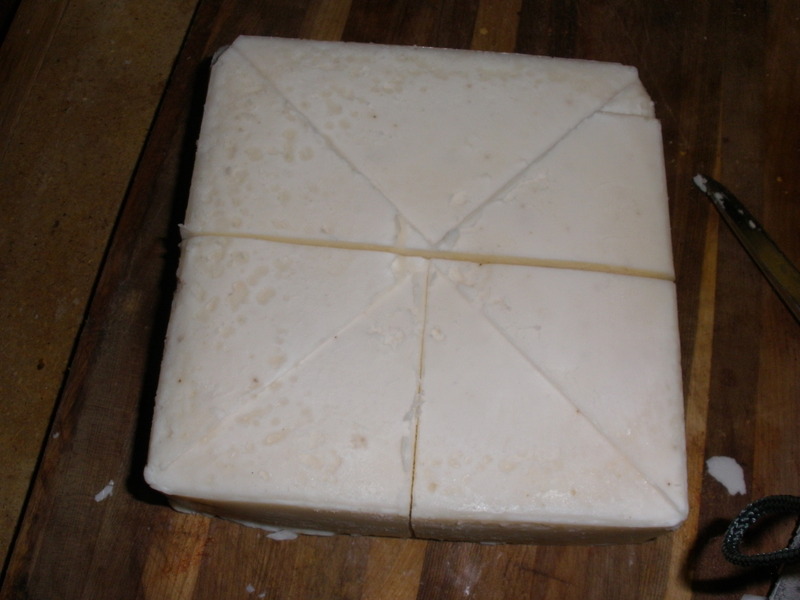 Palominos are considered a good breed for meat production. This is Nibbler. Nibbler is a 9-week old buck that we purchased at the fair last Wednesday and picked up yesterday. The kids selected him. I like that he looks like a wild rabbit. My only criteria for rabbit selection other than suitability for meat production was that we couldn’t have any of those zombie-eyed albino rabbits. I’ll be honest, they creep me out. Nibbler is a mutt, but he is a blend of several varieties of rabbits that are of a good size and shape for meat production. Not all the breeds in his gene-pool were on the “preferred” list for meat production, but most of them were and his parents were of a good size (9-11 pounds). I’m not raising pet rabbits, so I don’t need pedigrees. By diversifying my gene pool, I will actually end up with heartier stock not prone to genetic defects common in straight-breed rabbits. When we started with chickens I didn’t keep excellent records of our costs because saving money on eggs wasn’t my goal. However, I want to show that rabbits are affordable, sustainable meat that anyone inclined to could raise. We won’t have any meat from our pair for a while because they are young, but I will keep you updated on the expenses as we move forward in this venture. 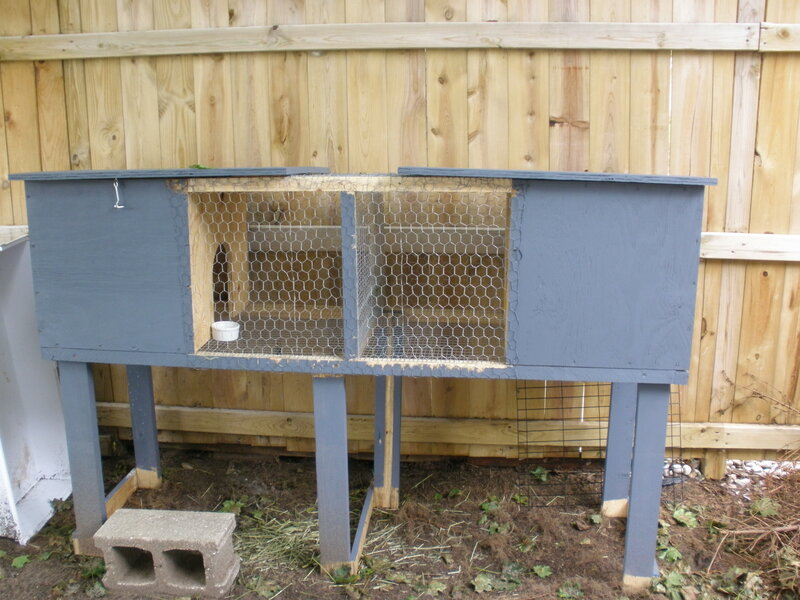 Check back soon for a post about rabbit housing! Many of you will look at this post and think, “Aw, how cute!” That is the natural instinct when one sees a bunny. They are fluffy and sweet. Generally, they are gentle and quiet. If you are a gardener, you may be thinking, “What a pest!” or “Great fertilizer.” But, as fellow blogger Annette of Sustainable Eats writes: Bunnies are Fluffy and So Much More. Some of you will read this post and decide not to come back. That is because Fiona is the first step in my venture towards meat independence and another step towards more sustainable food. I started by shopping at the Farmers’ Market. I joined a CSA. I got chickens and planted a garden. I ordered, paid for and received half a hog from my friend Joan at Olds Farm and signed up for a raw goat milk share. (Mr. Hippie isn’t ready to let me get a goat. Yet.) I make yogurt, cheese and bread. All these things help reduce my carbon footprint and my food miles. They increase my self-sufficiency and make me feel better about where my food is coming from. I have a friend who is a vegetarian because she doesn’t feel right eating meat if she can’t kill it herself. She should feel that way. We all should. We come from a long line of hunter-gatherers. We are designed to hunt and kill our own meat. Somewhere down the line agriculture was developed. This was a good thing. It provided food security and allowed us to settle down and form commmunities. Homo Sapiens has been very succesful. We are intelligent and learn fairly quickly how to do things as efficiently as possible. We learned to work together and trade with our neighbors for the things we didn’t have. All these innovations have made life easier although I wouldn’t argue that it is simpler. Most of us never kill an animal for food. Some of us, mostly children, don’t realize that a hamburger was once a living, breathing entity. There is such a disconnect between us and our food that we don’t have to think about the unpleasantry of actually killing the animal that provides sustenance. We even have different names for slaughtered animals than we do for livestock. Pigs are pork, cows are beef. Even deer become venison. This post is not a rant about the ugliness of industrial agriculture or the wrongs of factory farms. 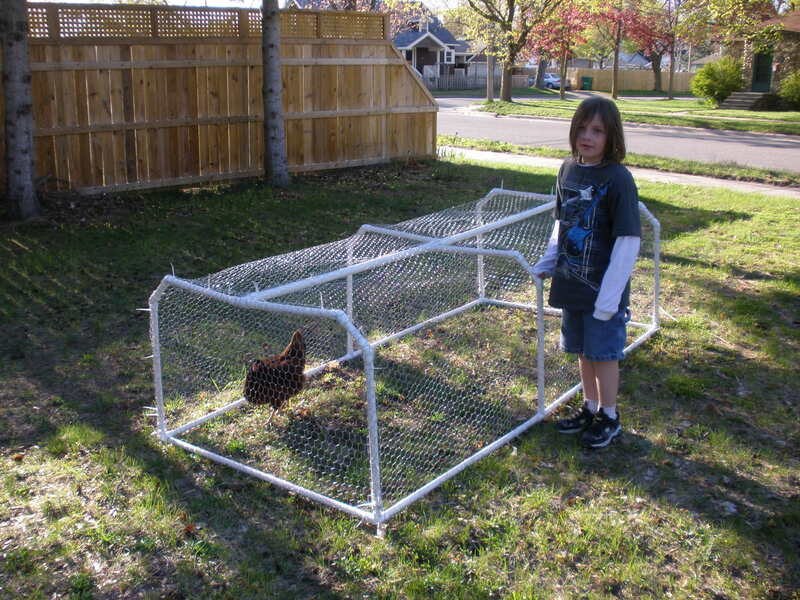 This is not a post to try and convince you that you should raise your own rabbits or chickens. I know that not everyone can or will do that. This post is about me making a conscious choice to know where my food comes from. When three of our four chickens turned out to be roosters, I needed to make a decision. I could find them foster homes or I could eat them. Like my vegetarian friend that won’t eat meat because she can’t kill it, I knew that if I couldn’t eat those roos, I had no point eating chicken at all. How can I justify walking into a grocery store to buy a plucked, cleaned chicken and eat it when I can’t eat my own? I’ll admit that I didn’t personally slaughter those chickens. I wasn’t ready yet but it was a first step which brought me closer to where I am now. 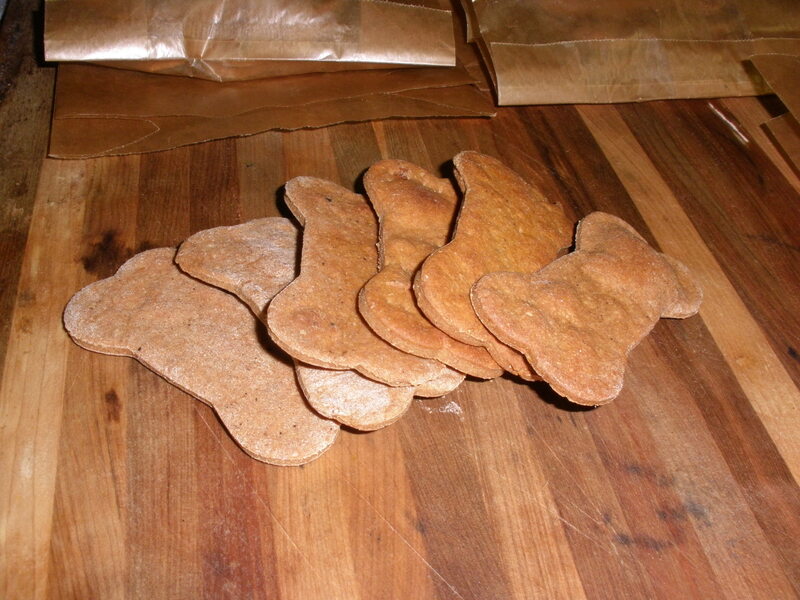 Bunnies are fluffy and cute but throughout history they have been prized as a source of meat. According to David Taylor in his Rabbit Handbook, “By medieval times, rabbits were much valued for their meat, skin and fur. . . . A fine buck rabbit fetched as high a price as a suckling pig.” I buy rabbit meat from the Farmers’ Market. I know where it came from and that it was treated well. I also know that it is lean, high in protein and very “green”. Rabbits are very efficient converters of plant material to meat so they put very little strain on our already stressed out food system. But, rabbit meat is fairly expensive to buy. 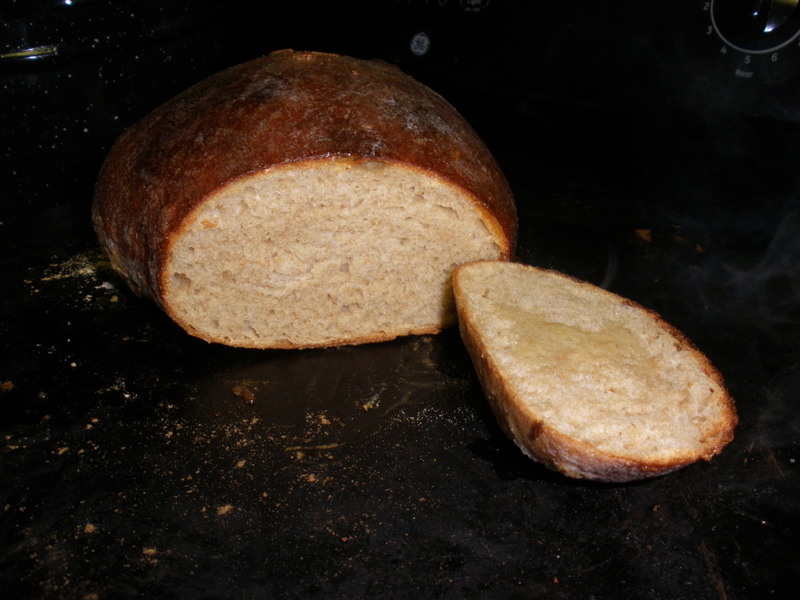 It is often considered a gourmet or specialty meat so it demands a high market price. I can raise my own rabbits for a relatively small investment. 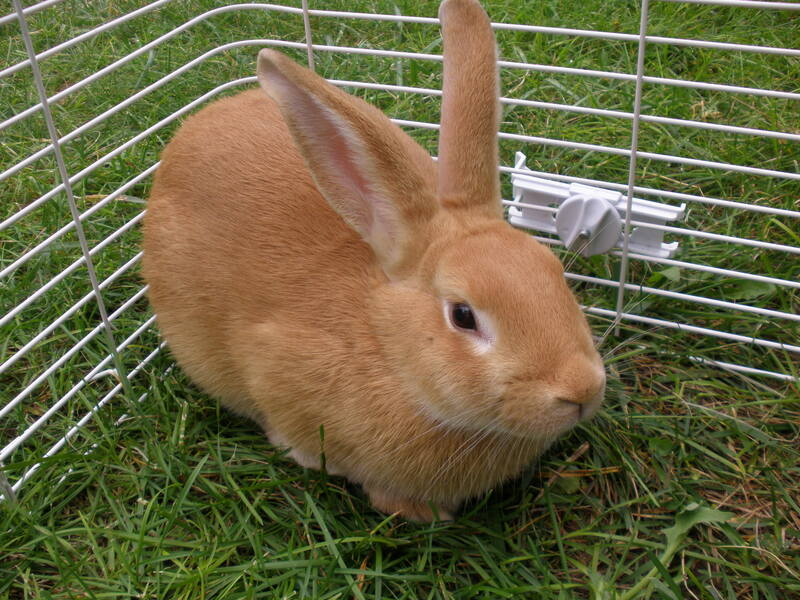 Fiona is a Palomino rabbit, a variety recommended for meat production. Fiona will probably never be eaten but she is breeding stock for future rabbit meat. Fiona is not old enough yet to sart breeding so this venture is on hold until then, but the foundation is in place. Until then, I do have another source of fertilizer for my ever-expanding garden. We went to the fair yesterday and picked out a young buck. Nibbler is a “mutt” but has nice coloring, a good shape and will grow to a good size for a meat rabbit. We’ll pick him up on Sunday, so you can meet him soon. This post is part of Simple Lives Thursday blog hop. Hop on over and check out what everyone is doing. Back in April I wrote a post called “Stuff I Love” after being inspired by my friend. I had intended for it to become a sort of regular feature. I even had a few things in mind to write about. And then. . . So, now that I am back I have a lot of catchin’ up to do. I still plan to write about those other things I love, but today I have a new love to share with you. 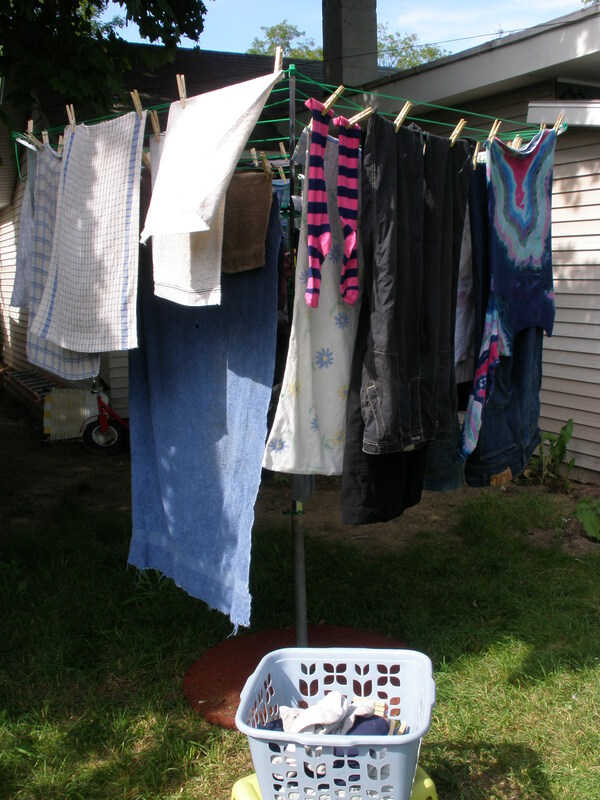 Clotheslines are the ultimate environmentally-friendly laundry solution. No fossil fuels are used to create the power necessary to run a clothesline. Clotheslines are a miser’s dream. No fossil fuel consumption = FREE to run. Hubby does all the laundry. Hubby refuses to use a clothesline. Hubby doesn’t like his underwear publicly displayed. I wanted the clothesline in the front yard near the exit nearest the laundry room. Clotheslines can create stiff towels even with the use of my homemade fabric softener. Clotheslines do not remove the lint (or dog hair) from your laundry. My dog creates a lot of hair. Clotheslines are subject to the whim of Mother Nature. Cool cloudy days result in long drying times. Clotheslines don’t work in the rain. See what I’m up against? The con list is definitely longer than the pro list. If I wanted a clothesline, some serious action needed to be taken. I could just wait for the dryer to break down in the middle of a cycle with another load of wash waiting in the wings. Also helpful was the fact that one of my students gave me a $25 Lowe’s gift card as a teacher gift at the end of the year. My new dryer. I think I shall call it "Olan" in honor of the student who gifted me the Lowe's card. Here is the latest and greatest thing I love. This umbrella-style clothes line folds down for storage and holds up to three loads of laundry! I love it and have done lots of laundry since we brought it home. I especially love how the sheets feel after drying on the line. Stiff and/or hairy items can be placed in the new dryer to tumble without heat for a few minutes until they are less stiff or hairy. The clothesline is in the back yard which means I have to carry it a little bit longer, but nobody can see our underwear. Also useful is the multi-line design which allows for personal items to be hidden in the center of the rack by larger items on the outside lines. Hubby doesn’t use it. I can’t overcome that. If I want my things dried on my line cheaply and greenly, I will have to do the laundry (at least the drying) myself.